is going to be release officially in bieap.gov.in.We will update the results links once it is opened to public. So stay tune with us for official and other results providing websites results links.Andhra pradesh inter 1st year results is expected to be release on April 23rd, 2015. Its been really very long since I posted pc stuff on btechbunks, today I want to share a simple yet powerful trick to unlock your pc with out entering any password but yet secure and only you can do it. Key lemon is a free software with which u can easily unlock your pc by using your face. It works on facial recognition technology. Windows account by using your face. 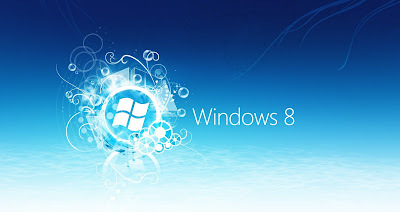 If you computer has multiple users the software automatically logs you into the right Windows account.When you leave the computer, it will automatically lock it and then unlock it when you are back. KeyLemon works as a password manager for popular internet sites. When you connect to a website (Facebook, Twitter and / or LinkedIn), KeyLemon automatically logs you into your account by using your face. 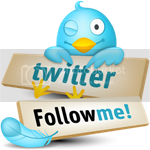 Download it from here ( when you are redirected to cnet downloads, use direct link to download instead of cnet downloader. KeyLemon is a new way to handle passwords. It is an easy way to replace your passwords with face. Just download the software, create your face model and login simply and conveniently with KeyLemon. Why KeyLemon ?As a Windows and frequently internet user, you probably deal with lots of passwords every day. Remembering each set of login details and typing them in can be time consuming and very frustrating. Have fun with your awesome Face . Comments are appreciated. Recently I got my android mobile, motorola fire xt. Such an amazingly bagged with all smart features. It has gps facility and by using custom software's we can use our phone as speedometer. go to andriod market and search for speedview. Install it and open the software. activate gps and change settings according to ur wish from options. You also have option to connect with maps from speedview settings. 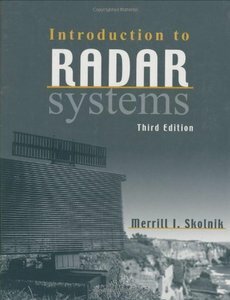 Merrill I. Skolnik, "Introduction to Radar Systems, 3 Edition"
Since the publication of the second edition of "Introduction to Radar Systems," there has been continual development of new radar capabilities and continual improvements to the technology and practice of radar. This growth has necessitated the addition and updating of the following topics for the third edition: digital technology, automatic detection and tracking, doppler technology, airborne radar, and target recognition. The topic coverage is one of the great strengths of the text. In addition to a thorough revision of topics, and deletion of obsolete material, the author has added end-of-chapter problems to enhance the "teachability" of this classic book in the classroom, as well as for self-study for practicing engineers. Welcome! Viruses can seem mysterious but computer viruses are actually quite easy to understand. I'll give you the information you need know to make sure that your PC is safe from viruses and all the other threats that may damage your programs and data. In these pages I'll explain exactly what viruses are, how they work, and how to protect against them. Viruses are actually very simple. Once you understand exactly what they can and cannot do, it's much easier to take appropriate precautions. While we'll be spending most of our time talking about viruses, I'll also cover the threats that are much more likely than viruses to damage your programs and data. Although I'll occasionally touch on some rather esoteric or complex topics, you won't need to be a "techy" to understand this text or to find it useful in your day-to-day use of your computer. I will go one step at a time and I will explain all the concepts and jargon clearly before I use the terms. I'll also focus on practical information that will help you protect your PC. Everyone should benefit from reading these pages; those of you that are experts will be able to skip the background information, yet I will still explain everything clearly for those of you that are new to PCs. You may even be wondering if viruses are really worth worrying about at all. Do you think you're safe because you rarely download software or buy only from a trusted retailer? Are viruses really a serious threat to your PC or are viruses mostly hype? Let me begin by quickly putting this issue into perspective. Viruses and anti-virus programs are not really the mysterious, complex, and hard to understand software that many people consider them to be. Not only can these programs be understood by anyone, but these days, it's critical that we all fully grasp how they work so as to protect ourselves. Evidence of Artificial Intelligence folklore can be traced back to ancient Egypt, but with the development of the electronic computer in 1941, the technology finally became available to create machine intelligence. 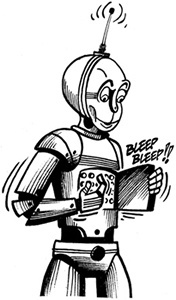 The term artificial intelligence was first coined in 1956, at the Dartmouth conference, and since then Artificial Intelligence has expanded because of the theories and principles developed by its dedicated researchers. approaches facing experts is building systems that mimic the behavior of the human brain, made up of billions of neurons, and arguably the most complex matter in the univers. Artificial Intelligence has come a long way from its early roots, driven by dedicated researchers. In this paper we will describe an intelligent multi-modal interface for a large workforce management system called the smart work manager. The main characteristics of the smart work manager are that it can process speech, text, face images, gaze information and simulated gestures using the mouse as input modalities, and its output is in the form of speech, text or graphics. The main components of the system are a reasoner, a speech system, a vision system, an integration platform and an application interface. 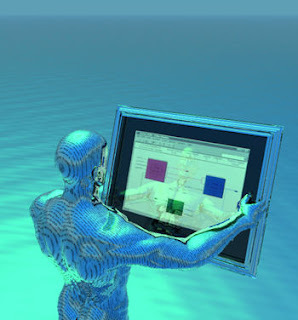 The overall architecture of the system will be described together with the integration platform and the components of the system which include a non-intrusive neural network based gaze tracking system. Fuzzy and probabilistic techniques have been used in the reasoner to establish temporal relationships and learn interaction sequences.